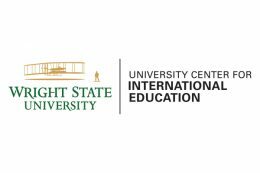 Wright State University was named among the institutions showing the greatest growth in sending students overseas by a State Department program designed to make international study more accessible and inclusive. Wright State was cited in the category of greatest growth in overseas study by students with disabilities. The recognition was based on the number of students sent overseas as part of the Benjamin A. Gilman International Scholarship Program. The State Department’s Bureau of Educational and Cultural Affairs in collaboration with the Institute of International Education compiled the list, which was organized by four-year institutions and associate’s colleges. Bill Holmes, associate vice provost for international affairs, said the Gilman Scholarship is a wonderful financial incentive for students to realize their dream of studying abroad. He said the University Center for International Education’s historic commitment to access and inclusion is key. “The Education Abroad unit holds regular workshops to promote the Gilman award and has worked closely with the Office of Disability Services to support students with disabilities to fulfill their dreams of studying abroad,” said Holmes. “Our Gilman Scholarship recipients were ecstatic to be selected and embraced the responsibility of sharing their study abroad experience with their peers, as well as the community. Thomas Webb, director of the Office of Disability Services, said that for the majority of students with disabilities, the thought of participating in a study abroad opportunity is often overwhelming and cost prohibitive given some of the additional supports that may be needed. Last May, Webb helped lead a 10-day study abroad trip to England for students interested in rehabilitation services and disability studies. Rebekah Wyse received a Gilman Scholarship that will cover her program, travel and personal assistant expenses for a study abroad trip to France this summer. She said she would not have been able to afford to go without the scholarship. The Gilman program broadens the U.S. student population studying and interning abroad by providing scholarships to outstanding undergraduates who due to financial constraints might not otherwise participate. Since the program’s establishment in 2001, over 1,300 U.S. institutions have sent more than 28,000 Gilman scholars to nearly 150 countries around the globe. Among the 2017–18 Gilman Scholars, 256 identified as having a disability, 75 percent said they would not have been able to study abroad without the scholarship, 47 percent were first-generation college students and 21 percent had never traveled outside the United States before studying abroad. Joy Wanderi, director of the Education Abroad and Exchange Programs, said the study abroad team holds advising sessions with students to help them complete their scholarship applications. “Our students work hard, and this award is a testament for their resilience and passion for study abroad,” Wanderi said. The scholarships enable American students to gain proficiency in diverse languages and cultures, skills that are critically important to their academic and career development. Over 2,900 scholarships of up to $5,000 will be awarded this academic year for U.S. citizen undergraduates to study or intern abroad. Holmes said an international education is not just for a privileged few who can afford it. He said modern institutions have a responsibility to ensure the greatest level of access possible to their students from financial support through the intentional development of program opportunities.